Tyrepac will be well represented at the event, aside from providing the usual tyre pit changing services and as official online portal, Tyrepac will once again have their own team at Formula Drift Singapore, after first pitting a team at Formula Drift Malaysia. Ee will once again be at the helm, albeit with his red-hot S13 instead, and we now have Charles Ng – who recently made his debut at Formula Drift USA Long Beach and emerged with a credible 29th having only made his FD Pro-Am debut last year. Ivan Lim will be drifting under Team Binter Goodyear. Get your Formula Drift tickets at Sistic today or visit www.formuladrift.com.sg for more information! Tyrepac is proud to announce its Formula DRIFT Singapore 2010 lineup, featuring Ee Yoong Cherng from Malaysia and Charles Ng from Hong Kong. The drivers will feature at Formula DRIFT Singapore under Team TYREPAC Kumho. Formula DRIFT Pro-Am 2009 Championship Irwindale winner Charles Ng is coming off an impressive debut at the 1st leg of the 2010 Formula DRIFT Professional Championship at Long Beach, finishing in the top 32. Ng gained his Formula DRIFT Pro License in his first year participating in Formula DRIFT Pro-Am, finishing 7th overall at the National Championships. Yoong will be back behind the wheel of his trusted Silvia S13 after pushing eventual winner Tengku Djan close at Formula DRIFT Malaysia 2009 for a place in the last eight. 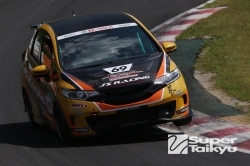 Tyrepac has been supporting Formula DRIFT in Asia since it was brought to the region by DriftPac Pte Ltd, and it has helped in fueling the growth of motorsports in the region. Sponsoring the event for the past two years, Tyrepac was represented at Formula DRIFT Malaysia 2009 with its very own drift team. “Drifting has proven to be the fastest growing motorsports in Asia, and Tyrepac is committed to supporting the growth.” added Ler. Special prizes will be given away at the team’s display booth, along with attractive games, topped off by Team TYREPAC Kumho drivers’ autograph sessions and guest appearances by Formula DRIFT USA stars. Tyrepac will also front all tyre changing facilities at Formula DRIFT Singapore. Team TYREPAC Kumho was established in 2009 by Tyrepac – Asia’s First Tyre Portal. In line with one of their key objectives about educating consumers about tyres, Tyrepac is utilizing drifting as a platform for education on tyre safety, as tyres can make or break a drift. Drifting is recognised as the fastest growing motorsport in Asia, and Tyrepac is proud to bring that passion to the fore and encompass its commitment to demonstrate its product knowledge and professionalism by sponsoring their own team to take part in regional drift tournaments. Team TYREPAC Kumho is yet another significant benchmark for Asia’s First Tyre Portal. Team Tyrepac comprises of Ee Yoong Cherng from Malaysia & Charles Ng from Hong Kong. Yoong takes charge of a Nissan Silvia S13 and Charles struts his stuff in a Nissan Skyline R33. Tyrepac is Asia’s first and largest online tyre retailing website. It provides consumers with a portal to compare tyre brands, patterns, and prices. Upon purchase, customers can choose one of its island-wide fitment stations for fitment, or opt for Tyrepac’s mobile service – which does door step tyre fitment and oil change. Tyrepac is registered and headquartered in Singapore. Kumho Tire Co, Ltd. is a South Korean industrial conglomerate headquartered in Gwangju, South Korea. Kumho is a subsidiary of the Kumho Asiana Group. The company currently has eight manufacturing facilities across South Korea, China & Vietnam. In addition, it also has three centers in South Korea, USA & the United Kingdom for research and development. Ee Yoong Cherng has been drifting competitively since 2004, and is one of the pioneers of the drifting community in Malaysia, establishing Malaysia’s Premier Drift Enthusiast Website- drift.com.my. Yoong’s consistent performance has seen him finish in the top 16 in last year’s Singapore and Malaysia legs of Formula Drift. Yoong’s passion for drifting has seen him help organize and judge on various drifting competitions in Malaysia & Singapore, and feature as a stunt driver in Malaysia’s own hit film Evolusi: KL Drift Part 1 & 2. Charles started racing when he was 18, and has gone on to win multiple achievements, winning the famous USA Skip Barber Mazdaspeed MX-5 Challenge West 2008/2009 and receiving the rookie of the year award amongst others. He debuted at the 2009 Redline Time Attack Season Opener with a win in the Modified Rear wheel drive category, dominating the rest of the class by over 3 seconds. Charles’ foray into drifting in 2009 saw him win the Formula Drift Pro-Am Championship at the Irwindale Toyota Speedway, and obtained his Formula Drift Professional License by qualifying 7th at the Formula Drift Pro-Am National Championship. His debut at the 2010 Formula Drift Professional Championship saw him place 29th in the opening round at Long Beach, CA. Charles will also be racing in the full season of the Asian Touring Car Series this year.